The UK government’s consultation on a total ivory ban was discussed on BBC Radio 4's ‘Today Programme’ during a debate on whether the BBC’s 'Antiques Roadshow' should continue to show ivory items. 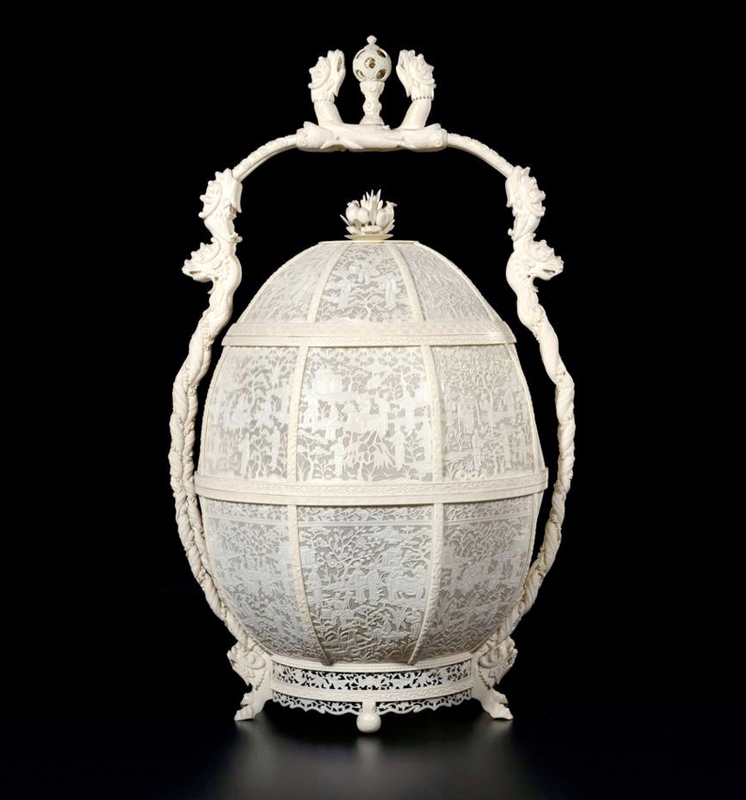 As part of its response to the government’s consultation on ivory, the British Art Market Federation submitted an image of this fine early 18th century Cantonese basket as an example of the ivory works it considered to be ‘of museum quality’. From the family of Henry Trail (1755-1832), an agent of the East India Company, it was sold by Woolley & Wallis of Salisbury in 2014 for £30,000. Virginia McKenna, the actress and animal rights campaigner who starred in the acclaimed film Born Free and who recently called for the BBC’s Antiques Roadshow to ban all ivory artefacts from the TV programme, appeared alongside Victoria Borwick, the president of the British Antique Dealers’ Association (BADA). In favour of a total ban on ivory items, McKenna said that “however old or new, a piece of ivory comes from a dead animal”. She used an example of a capsicum carved from ivory only 14-15 years ago to demonstrate the difficulty in distinguishing new ivory from antique ivory. She said the item had appeared at a London auction house and seven experts had believed it to be antique. Asked whether the Antiques Roadshow should stop showing ivory items of any age, she said “their influence is so enormous, I’m sure everyone will take heed”. But she added that many people had inherited ivory items or items containing ivory from their grandparents such as portrait miniatures, musical instruments, clocks or cabinets. “In fact there are things in people’s homes that they might not even realise have ivory in them,” she said. “Look back, see how ivory was worked, go right back to Egyptian times, ivory has always been cherished and we must acknowledge those things of culture and heritage. We expect the government, like has happened across the world, will continue to respect antique ivory. The broadcast on the BBC’s flagship radio news programme followed much debate on the issue since the consultation was launched in October. The deadline for submissions was December 29 and a debate was held in the House of Lords before the Christmas recess in which Lord Carrington of Fulham made a strong case for a controlled trade in ivory heritage items to be allowed. In the meantime, The British Art Market Federation (BAMF) has explained how exemptions for antiques could work in practice once the government’s proposed ivory ban comes into effect.